Any experience of community life requires a sharing of ideals, commitment and rules that will ensure a good, efficient coexistence. Our aim is to manage complex situations at our best at an organizational level and to prevent critical problems and risks due to an inappropriate behavior in a difficult context and at the same time to defend the image of the movement and the credibility of its message. For this reason, Emmaus Italy prepared a document, in relation to the events organized for the PASSIONE CIVILE 2019 VOLUNTARY CAMP, that should facilitate the understanding of the general organization, and establish in a clear and unequivocal way the rules and terms for participation. All volunteers have to agree to these terms when they register and follow them during all their stay at the INTERNATIONAL VOLUNTARY CAMP 2019. 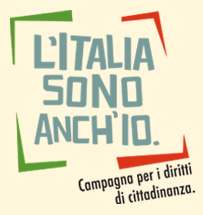 The participation in the PASSIONE CIVILE 2019 INTERNATIONAL VOLUNTARY CAMP and in all its activities is voluntary and free (or in some cases payed with symbolic contribution), no payment is expected either directly or indirectly. Every volunteer has to be in possession of valid personal documents and covered by their personal insurance in case of illness and hospitalization. Emmaus Italy is not able to provide the necessary documents for the participation of people extra EU. Volunteers must be aware that the participation in the activities of the camp will require physical effort and considerable ability to adapt, so we ask you to evaluate carefully your participation if you have any physical or psychological problems. In any case, you should settle with the responsible of the camp in advance so that we can do our best to allow the widest participation in accordance with the real objective and the organization limits. In any case, the camp cannot ensure personal assistance, so every participant should be independent in this sense. The camp is also unable to accept people who have particular problems of addiction to alcohol or drugs, severe deviant behaviors or psychological disorders. For these problems, you can address directly the communities or the structures suitable to these problems. About the participation of Emmaus companions, it is necessary that the leader of the community of origin contacts the responsible of the camp in advance, and guarantees for their participation. In any case, the camp cannot take responsibility for people who are undergoing particular addiction problems or who need assistance from a financial and human point of view. insurance coverage against accidents for the entire period of participation and all the transports required for the activities. This does not include other costs that will be payed by the participants (journey to and from the camp, personal expenses, etc.). The initiatives will be coordinated by a person responsible for the camp and by a person in charge of each structure and of every sector of activity. They will be the point of reference for the volunteers for every specific situation. Individuals or groups of Italian and foreign volunteers may register for the PASSIONE CIVILE INTERNATIONAL VOLUNTARY CAMP if they are 18 or over. fill in the form you can find on the website www.emmaus.it in all its parts and send it. Read useful information and read and accept these terms of participation. These terms of participation have to be accepted and subscribed when you fill in the registration form.